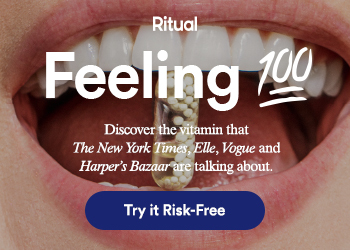 An Honest Ritual Multivitamin Review: Does It Live Up to The Hype? Ever since I was a young girl – I absolutely despised taking pills. I would always have nightmares that I’d be forced to take a giant pill…and I’d choke…and they’d have to bury me out back next to my deceased hamster (pet cemetery style of course). But all joking aside, I avoided taking pills as much as possible throughout my life. However the more invested I became in health and wellness & especially when I started doing research on maintaining a plant based diet- it seemed as though supplements were going to be a must. So after doing some research on basic supplements to take everyday for optimal health – I dashed to my local Whole Foods and bought a handful of supplements. Now I think it was only the 2nd or 3rd time I took my new group of supplements (there was a fish oil pill, a zinc pill, and about 3 others) and something horrible happened. The ‘magical’ concoction of supplements I bought from my trusty Whole Foods made me throw up…a lot. One of the best things about Ritual is they are very keen on having transparency with their customers. They have no issue telling us exactly what their ingredients are and where they were sourced from. Now obviously I didn’t take one pill and magically feel like an Olympian. To be honest, I didn’t really feel crazy different at all after 30 days of taking this photogenic pill. At the end of my 30 days I did have noticeably more energy, but that could have been due to a number of variables. THE PILLS ARE MINTY! – I think it’s worth saying again – each pill has a lovely mint taste when you pop it into your mouth. I loved this! The Pills Are Easy To Swallow– If you have pill phobia like me, you’ll be happy to know these puppies are in a capsule, decently sized, and super easy to swallow. The Pills Never Made Me Feel Nauseous– After my last bout with vitamins – this is a benefit I am definitely a fan of! I Happily Took Two A Day…Everyday…For 30 Days!– I think it’s incredibly important to note that out of all the things I’ve tried over the years- this was one of the few that I was able to stick by every single day. I didn’t miss one dose. Sometimes I was even excited to take my daily dose! 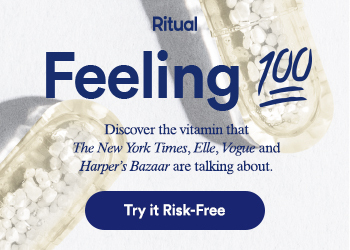 I don’t know if it’s the aesthetics of the pill, the lovely minty flavor, or the cute reminder stickers that come in the initial package – but I actually really enjoyed including this cool-looking multivitamin into my daily routine. The only negative I found was that in order to receive your first bottle of vitamins you are automatically signed up to a monthly subscription. Now the bottle is only about $30, so it’s not a huge blow to your bank account or anything like that if you happen to stay on for the subscription. Typically I don’t like being forced into subscriptions that now have control to bill me whenever they please once a month. However when I ran out of my first batch of vitamins and my second was promptly shipped to my home (without having to lift a finger)…it was…pretty nice. Again, this is not a complete negative about the product overall – just think it is important to mention. Being a fan of a monthly subscription I believe is always highly dependent on how much you like the product, how much you use it, and whether or not it fits into your budget. THE UGLY: Would I Recommend This Product? Overall, I think this is a wonderful vitamin to try out to get in the awesome habit of taking a multivitamin daily. As I’ve mentioned above the best part of this product was that I actually took it every single day. A brand of vitamin that can make me do that is definitely one to note! Also if you haven’t tried a minty infused vitamin then I highly recommend you to try it- at least once haha! Hope you all found this review helpful. If you have tried it or have any questions please leave a comment below! Devil’s Delight – A Dark Chocolate Smoothie Bowl To Die For!